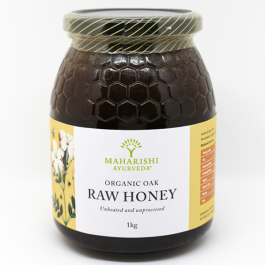 Our raw Greek pine honey is a unique type amongst the tree varieties, and is regarded as one of the best honey varieties available. It has a strong, sweetly pine aroma with waxy, spiced overtones, similar to cloves or other warm, winter spices. The flavour starts with a strong sweetness, which comes on very quickly with dark, dry fruit and prominent cooked fig flavour, finishing into a sweetness that lingers at the back of the throat. It would pair particularly well with white, creamy cheeses or a rich vanilla ice cream. Colour: This particular honey is dark brown when runny, turning a lovely, creamy yellow when set. Where does the honey come from? This variety of Greek pine honey comes from Agios Konstantinos, a remote place renowned for its natural beauty and preserved wilderness. Who produces this honey? This pine variety comes from the family of Thomas, who is planning to take over the family's hives, located in secluded forest glades. 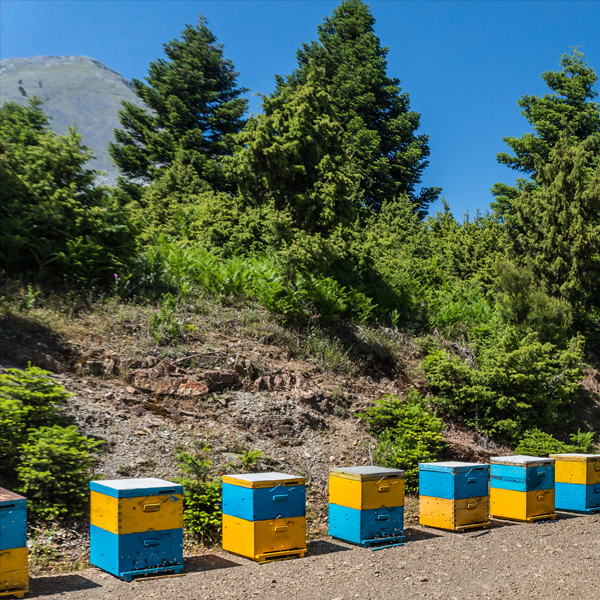 Thomas, who works with his family to tend bees and produce raw honey in the mountains of southern central Greece, has great enthusiasm for raw honey and natural hive products. What about the tree the honey comes from? The pine tree is part of the conifer family, a resinous evergreen that can grow up to 80 metres in height. They generally live between 100 and 1000 years, sometimes even longer, the oldest one to date was found to be 4900 years old! Common uses: Pine honey is particularly good to use in Greek yoghurts, breads and ice cream, but perhaps best is to simply enjoy this delicious prized honey on its own. Commercial honey is heated during processing, which destroys many of its nutrients. 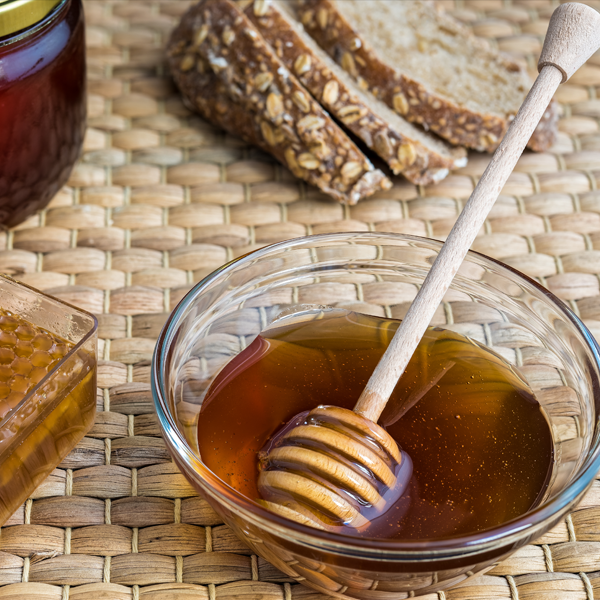 Ayurveda says that eating heated honey create a toxin (Ama) that is hard to remove from the body. This premium quality Pine honey is unheated. 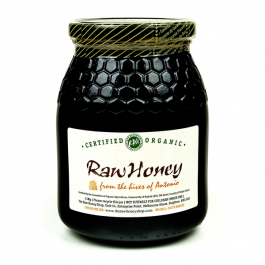 This preserves its unique flavour as well as the enzymes that are lacking in commercial honey. The bees aren't given antibiotics and instead of being fed sugar during the winter they are fed honey, their natural food. Pine honey has been used in natural healthcare for centuries. Colour: "This particular honey is dark brown when runny, turning a lovely, creamy yellow when set." 1 Kg in glass jar. Not suitable for children under one.